A couple of weeks ago, I spent my weekend imbibing in The Great Atlanta Beer Fest at Turner Field. For a few hours on Saturday, the Atlanta Braves’ home field turns into a drinkin’, jammin’ and beer slammin’ beer festival. I had a great time, and of course Instagrammed the whole thing. A few of you spotted one of my Instagram photos in particular: My pretzel necklace. 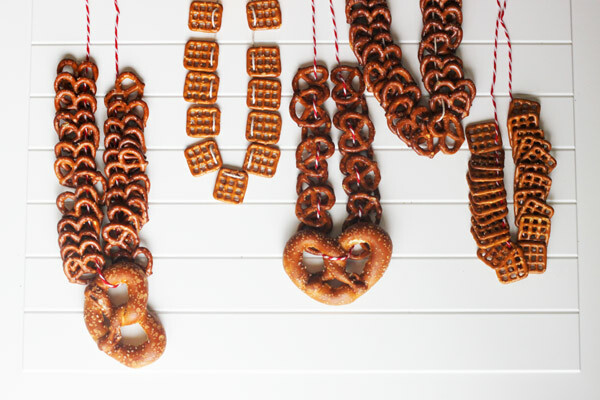 I got a few comments saying what a great idea it was; that’s funny to me, because I thought everybody knew about the genius that is pretzel necklaces!I didn’t invent this concept, but as a beer gal who loves beer tastings, beer festivals and touring breweries, I’ve seen it many times before. 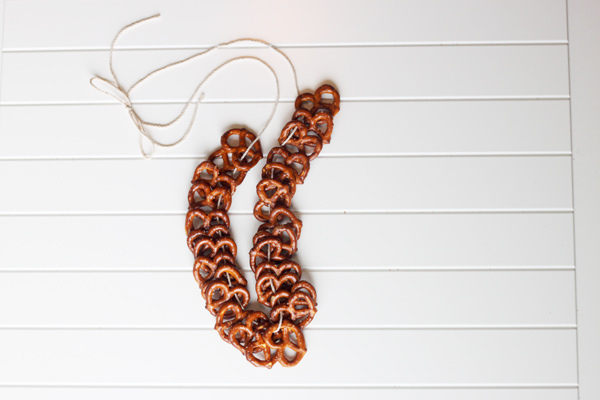 Basically, you grab some string or baker’s twine and string up a bunch of pretzels before trying it at the ends and hanging it from your neck. Throughout the day, whenever you get a hunger pang or you just want to clear your palette between tastings, just reach down and bite off a pretzel. It’s like a grown-up candy necklace! 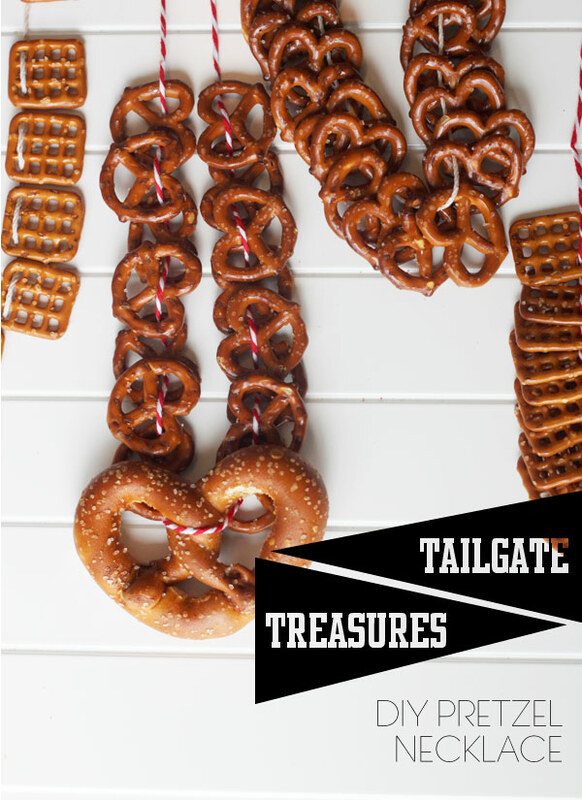 These are great for beer festivals and brewery tours, but they would also be a great feature at your next tailgate party or at a beer-tasting-themed fete. There’s a million ways to string them up, so get creative! What a great idea! I like how they resemble the thug chains I’m glad I don’t see too often. All you need is some mustard dip and you’re in business! Oh yeah! Wonder if I could stash a little mustard inside a bottle on a pendant or something. Pingback:	Rocket City Brewfest 2014 is May 9 - 10 at the Huntsville AL Depot. thanks for sharing your idea! i set a link and hope you agree. Any suggestions for how long a string I should use?